This has to be the best Seattle floating homes buy on Fairview Ave E in Eastlake. This peaceful floating home has 1930 characteristics, but modern sensibilities – look no further than the gleaming hardwoods and modern slate bathroom for comfortable touches, but also don’t miss the fact that this particular houseboat has gas on the dock. The gas is on the dock and also in the home itself! There is a cozy gas fireplace in the living room to warm up on those gray days with. 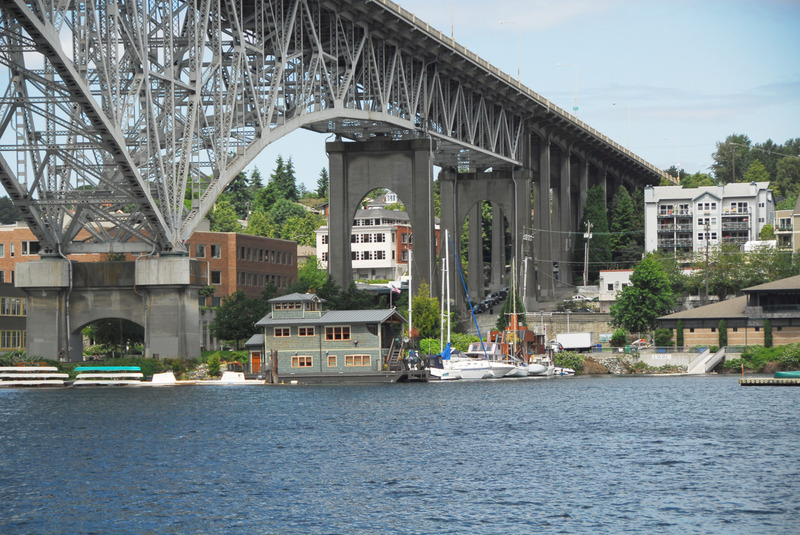 We have had many people say this is the best priced Seattle houseboat on Lake Union and we agree – let us know if you want a private tour of what life afloat could be like here. special customized ramp to adjust for differences in Lake level throughout the year. 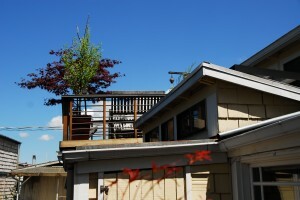 Pending Properties range from a Portage Bay Houseboat on Hamlin Street listed for $645,000 to a beautiful end of dock Eastlake Seattle floating home with huge sweeping views of the city priced at $2,250,000. In between there are two other pending sales in both Westlake and Portage Bay. 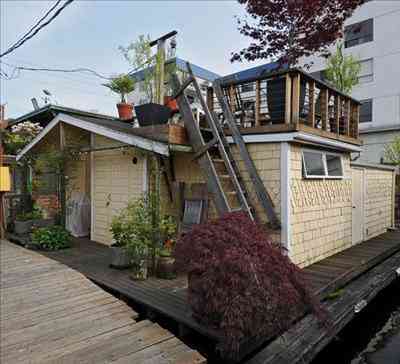 The median price of these Seattle Houseboats for sale in the MLS is $845,000. In addition to these pending houseboats, there is one that has sold and closed in the last month. 2031 Fairview Ave E #E was listed at $749,000 and sold for $676,500 in 62 days on market which is much lower than the current average days on market of 143 days. Lots to choose from in EVERY price range and style. 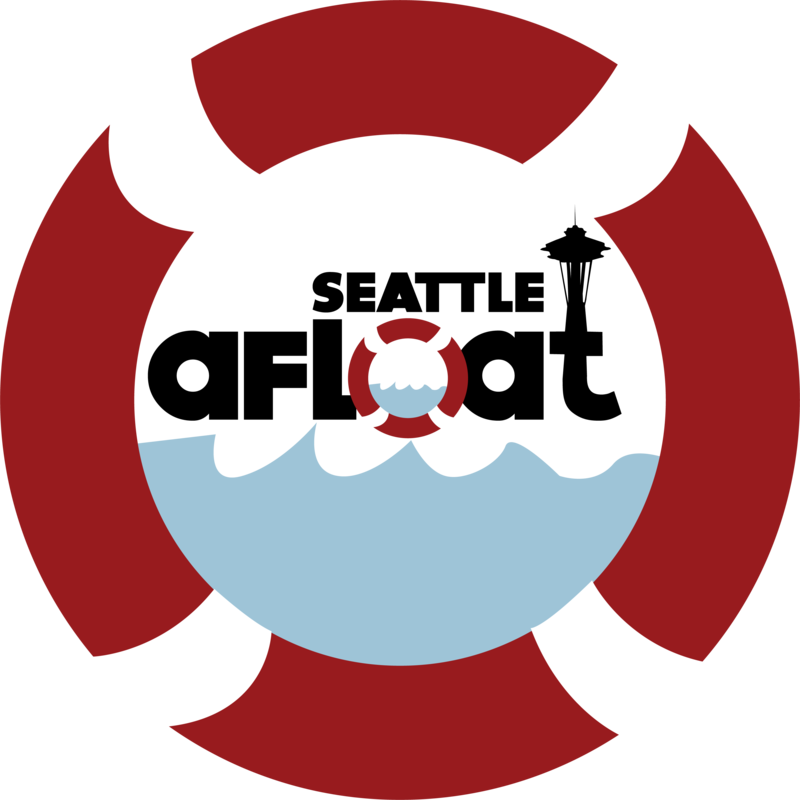 Current offerings range from $325,000 for a 100 year old historical beauty to $3,800,000 for a newer concrete floating architectural wonder complete with underwater porthole windows. Although there is a big range, the median list price of the current offerings is at $622,475. 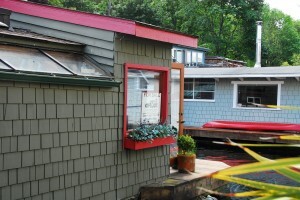 You can find Seattle floating homes for sale right now in Westlake, University District, Northlake, Eastlake, and Portage Bay – both owned and leased dock moorage is attached to various properties so make sure and get the details about each type. Want to see more info on what is out there including listing photos and virtual tours? Historical Houseboat For Sale – $325,000 – and amazing buy and the most affordable Seattle floating home on the market in some time. 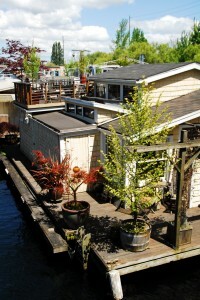 Almost Sleepless in Seattle Houseboat – often mistaken for the movie icon, this Seattle houseboat is a great buy! There are pretty amazing choices right now and there are some once in a lifetime opportunities available as far as properties, price, location, and more. 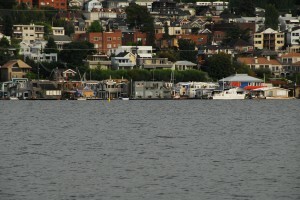 In all, there are 13 Seattle floating homes for sale that are currently marked as Active listings in the Seattle MLS. 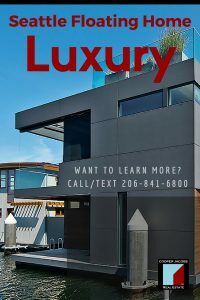 In addition to those, there is also a once in a lifetime custom houseboat at 11 E Allison and Lake Union floating home moorage at Ward’s Cove. 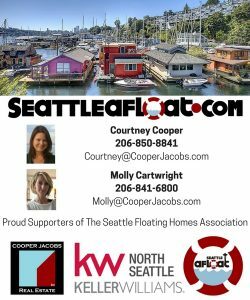 There are five Seattle floating homes in Westlake & Northlake for sale right now in the MLS which range in price from $325,000 to $975,000. 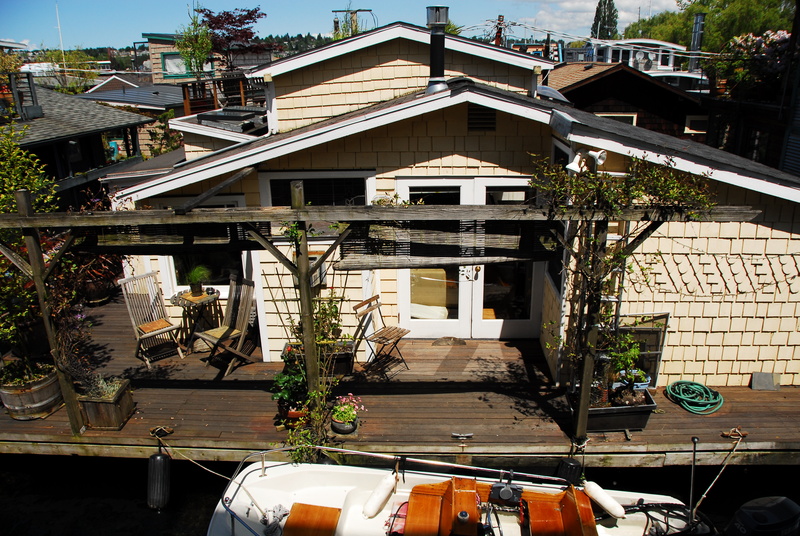 The most affordable of these is priced at $325,000 for a charming 100 year old historic houseboat which also happens to be a bargain condo alternative for anyone thinking about moving to Seattle or South Lake Union. 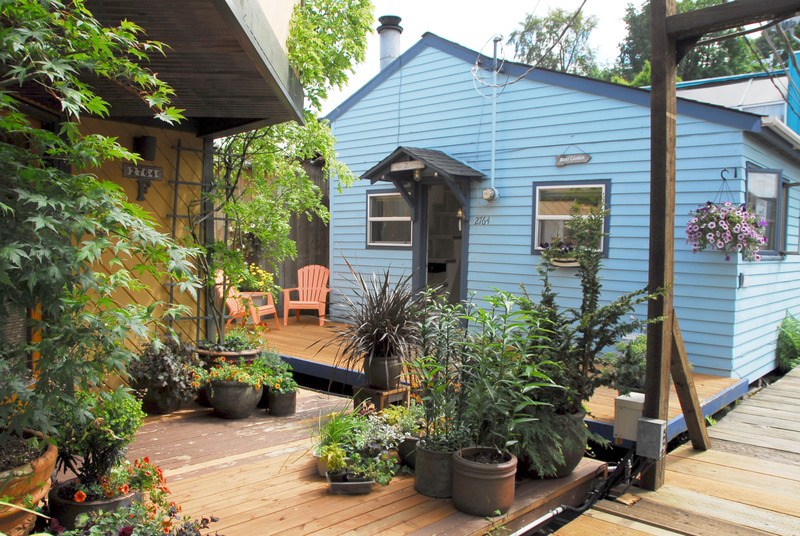 Another great Westlake houseboat is priced at $450,000 and offers two bedrooms, a sauna, available Lake Union moorage for up to 20 feet and one of the bigger decks on the lake. 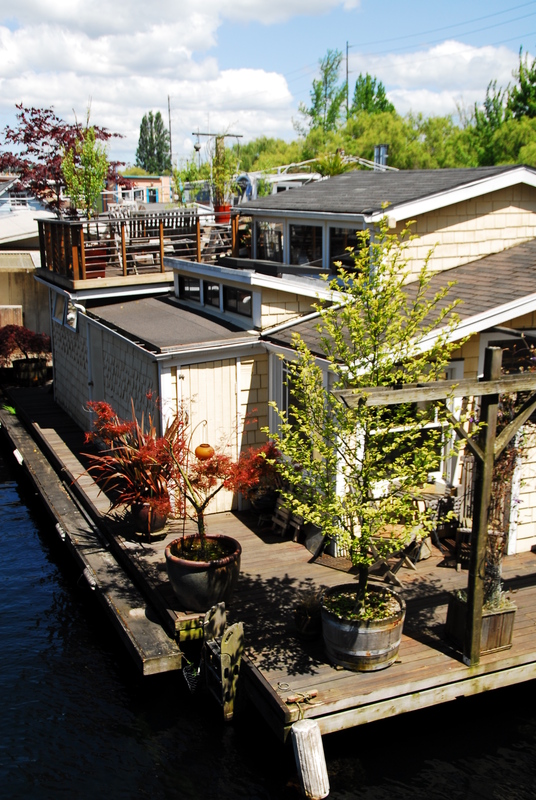 There are five Eastlake Houseboats for sale that are marked as Active in the MLS right now. 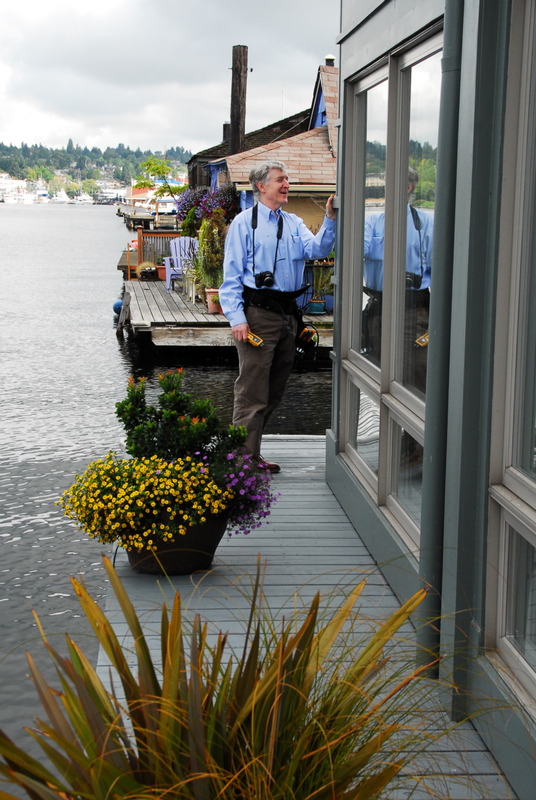 These range in price from $$495,000 to $1,720,000 and include many choices on wonderful docks like The Log Foundation, Roanoke Reef, Willow Dock, and more (Look for great Seattle houseboats on these Eastlake docks during the upcoming Seattle Floating Homes Tour). 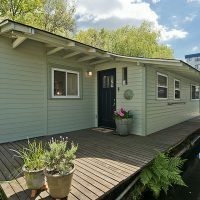 A nice houseboat option which has lots of space and excellent upgrades is the 1930’s 2 bedroom home on the Willow Dock. This dock is a co-op which means your moorage is owned not leased. It is a nice dock and has extras like gas plumbed. This Eastlake floating home has a gas fireplace and cooking which is pretty special. It also is two bedrooms plus a sleeping loft, a roof top deck, and remodeled bath. There are hardwood and slate floors, and it is bestowed with a Lake Union moorage slip for a companion boat! 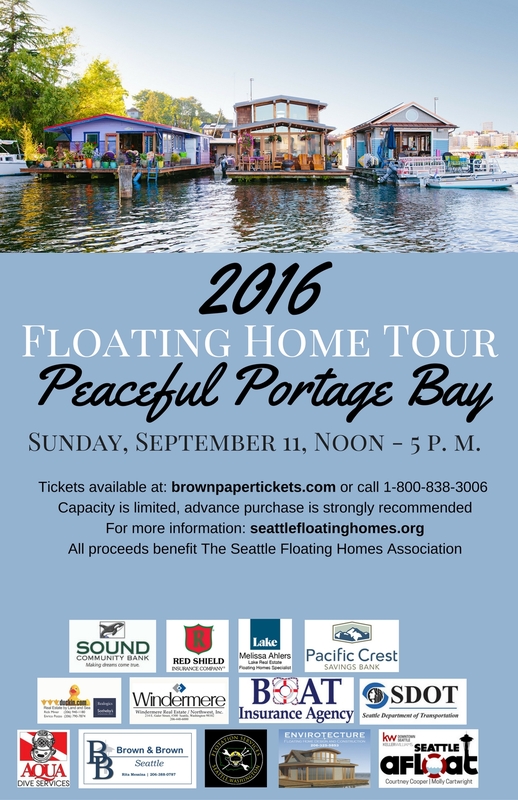 You can see it if you are coming to the Seattle Floating Homes Association Tour because it will be open in addition to others on tour and is on the same dock as another houseboat on tour. It is priced at $595,000 and dues/taxes are LOW. 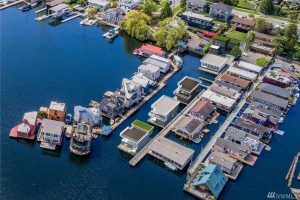 There are two Portage Bay floating homes for sale marked as Active in the MLS right now – these range from $715,000 to $795,000. Portage Bay offers some nice amenities and is a little quieter than Eastlake, but just a hop over the hill to all the action. 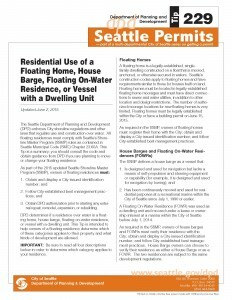 There are two Seattle floating homes that are marked as Pending Inspection in the MLS right now. 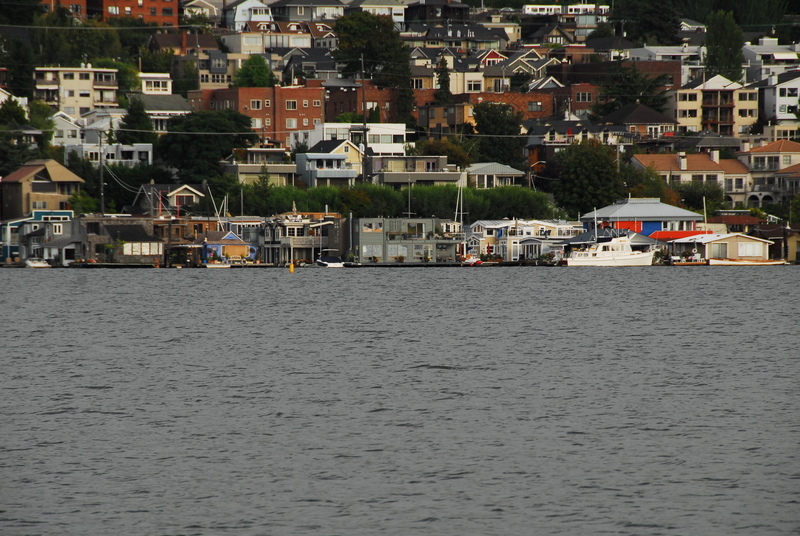 One of these is on E Hamlin in Portage Bay and the other is on The Dox dock in Eastlake. They are priced at $645,000 and $2,250,000. 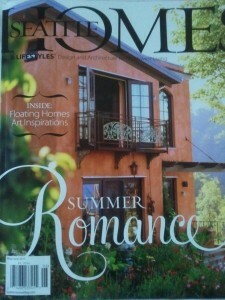 A Mallard Cove floating home listed for $1,250,000 sold on 7/15/2010 at $1,242,500 (99.4% SP /LP). A beautiful custom remodel sold on The Old Boathouse Dock in Westlake on 7/15/2010 – it was listed for $749,950 and sold at 98.67% of list for $740,ooo with multiple offers. 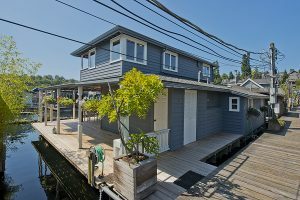 A nice Lake Union floating home in Eastlake was listed for $749,000 and closed on 8/27/2010 after selling for 90.32% of list for $676,500. 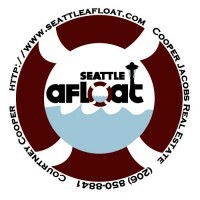 Written By Courtney Cooper, Designated Broker of Cooper Jacobs Real Estate Services, Founder of SeattleAfloat.com. Seattle Houseboats Open Houses: Sunday August 15th – Come beat the heat on a Lake Union floating home! 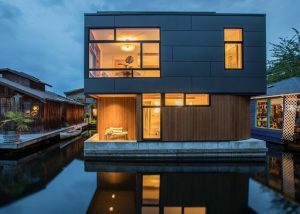 There are 14 Seattle floating homes on the market right now with a wide range of afford ability from $325,000 for a great Westlake houseboat to $1,720,000 for one of the Roanoke Reef floating homes. 2321Fairview Ave E #3: Absolutely charming Seattle floating home has vintage 1930s appeal coupled with modern touches like newly remodeled upscale bath with radiant stone floors and beautiful fixtures. 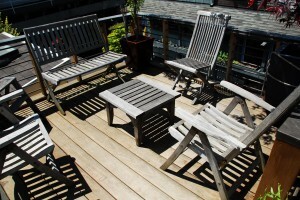 Hardwoods, gas fireplace and cooking, wrap around deck, roof top deck, double Lake Union boat moorage, 2 bedrooms plus a sleeping loft and room to go up if you want to take in more of the lovely Lake Union views this houseboat offers. A steal at $595,000! Co-op owned dock with low dues and low taxes on home. You have to see this one! **This dock will be featured on the upcoming 2010 Seattle Floating Homes Association Floating Homes Tour. Don’t miss the opportunity to dip your feet into Lake Union real estate and enjoy life on the West side of the lake. Co-op owned dock, low dues and low taxes on both! Much cheaper living than an in city condo! 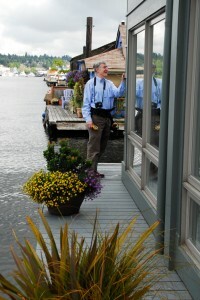 Want more info about Seattle houseboats or a private tour?